Lorong Asrama. The place where I used to digged shellscrapes, fire trench, did my 'big business' and involved in defence exercise back in my military days. I’m still wondering why it is called Asrama, which means Hostel in Malay. 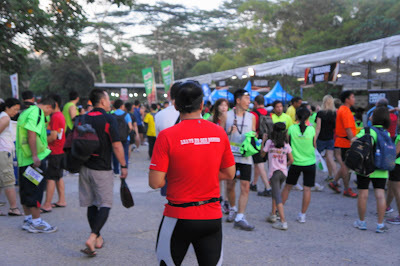 Anyway, Energizer Singapore Night Trail 2012 was held at this Lorong for the 2nd time with a new and challenging 18KM category on the 28th April 2012. One thing that came to my mind to overcome this challenging race is the Hill 265. Since I took part in the 18KM, I had to run up that steep hill twice and yes, that’s the place where I did my defence exercises many years ago. My goal is to complete within 2 hours. I knew I should have target for a better timing, but since I have something else to do the next morning, I rather take it slow then to get myself injured. The atmosphere was great before the race. It started off with words of inspiration from Adam 'Onearmrunner' and warm up exercises from Fitness First. Everyone geared themselves up by switching on their headlights. The one that I received from the racepack was not bright enough and there are runners who brought their own and there are some who didn’t even need one !! I hope nothing bad will happen to them. The race started at 7.30pm. I was using my VFF Spyridon as I had tried running with it at MR and it was really good and comfortable, especially the grip. Things went smoothly for me for the first 6KM until I met the Hill 265. Luckily, there were not many people on the hill as I was ahead of most of them. There was a thick rope to assist us up the hill but I did not really use it because it was on the extreme right and the ground was uneven. So, I just climbed up the hill like a ladder. Once I reached the top, I was really glad I saw the water point as I did not consume any water on the first 6KM. Right after that water point, there were many steep down slopes ahead as most of the runners tried to slow down to avoid tripping. 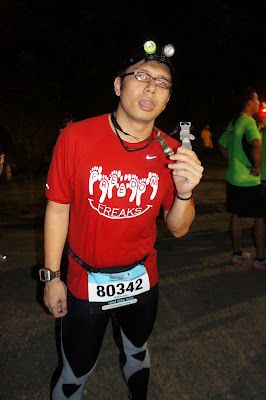 My feet hurt a bit as the stones poked through my VFF. Not like the stones at MR, this one was really huge and quite sharp. 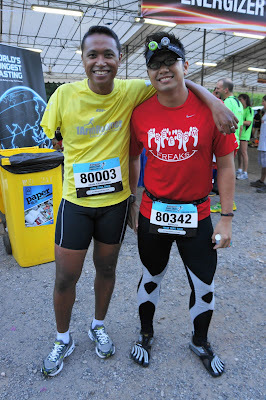 I fell down at the 9KM mark after tripping down a big stone. I suffered cuts and abrasions on my right knee and both of my palms. My tights was torn as well. One kind Caucasian lady came up to me and asked if I was ok. 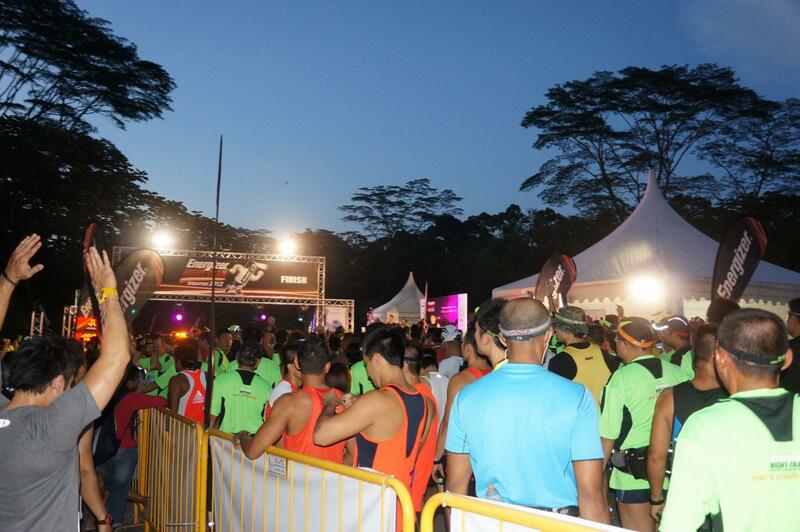 Some of the areas were muddy, and again, runners tried to avoid it, creating congestions. Come on, this is a trail run, not a road run. I was upbeat when I saw the 12KM mark as I’m almost there. Here I go again running towards the Hill 265 for the 2nd time. 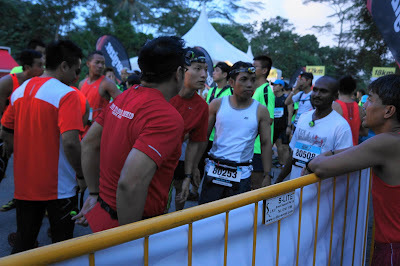 Suka Ada Nyoman overtook me around 13KM.He was really in good shape 6 days after the Bali Marathon. It was 16KM when I reached the bottom of the hill and my god, it was super crowded as runners from the 6KM and 12KM trying to grab hold of the rope to climb up. As a result, the rope became loose and snapped. So what’s next for the runner? 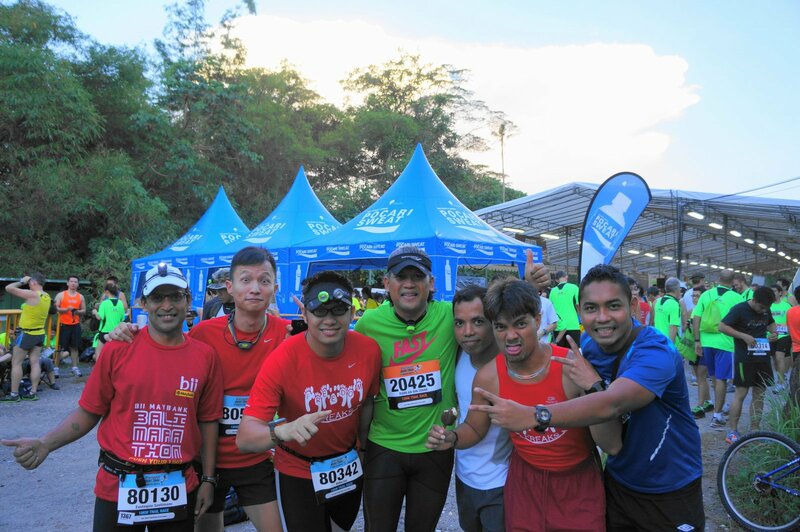 They stood in the middle of the hill, catching up their breath while I kept saying "Excuse me" countless times to continue my run till the finishing line. 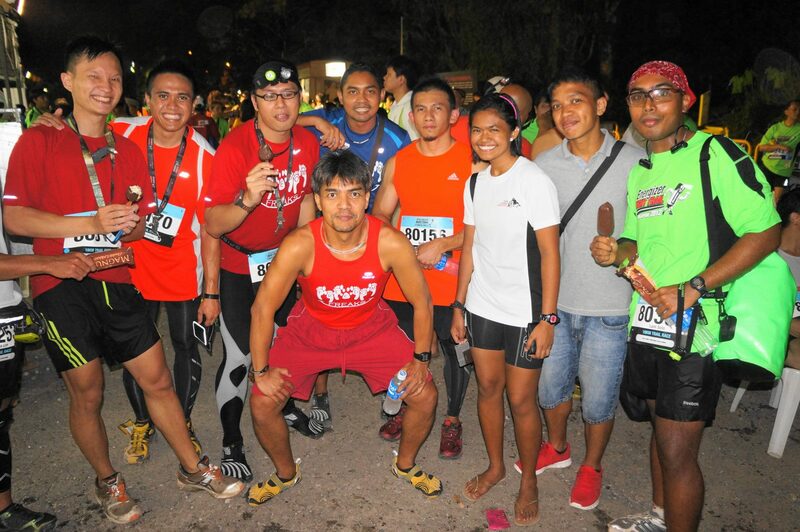 I was so glad and happy that I completed the race in 1hr 58mins topping up with free Magnum ice cream and ice Milo. Even though this running event is quite an expensive one, it was really worth every penny you forked out for this. *Thanks to Halim Billiejoe for the review and credits to Asree for the awesome pics.